Create an authentic cottage lifestyle in your home with Cottages & Bungalows. Get this once-only subscription offer and save 72%!! Do you want to give your home a cozy cottage look? Then you need to decorate, organize and restore your home with exclusive tips and inspiration from décor experts. 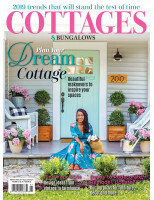 You deserve Cottages & Bungalows—the unique cottage-style magazine. And our one-time subscription offer empowers you at a flat 80% discount! 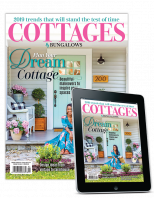 ….and get the latest cottage-style ideas to refresh and update your décor. 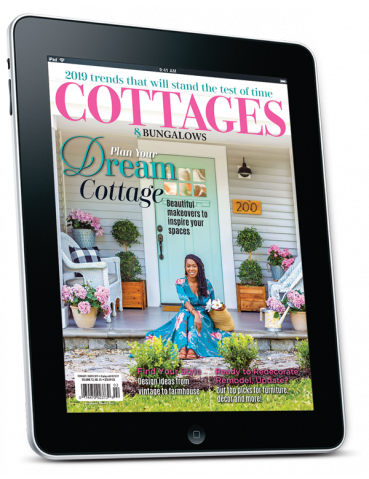 Realize your cottage dream today with Cottages & Bungalows.